A bit of a different post from me today but something I've wanted to do for a while. I've loved James' outfit photos for as long as I've been reading her blog, everything from what she wears to how she photographs the outfits. Although I probably wont be featuring in the posts myself for a while, I just don't have the confidence at the moment, I would like to share more what I'm wearing. Somehow in the past couple months I have started to like wearing jeans. As a teenager I never wore jeans and have probably only owned four pairs in my lifetime, excluding what I wore as a kid as I can't remember. At the moment ASOS is the place I find the best fitting jeans and the free returns means I can try as many different sizes and styles as I like. With the most recent jeans I bought, pictured, I actually fitted into the smaller size that I bought. It made me feel really happy and that the healthier choices I've been making lately is actually making a difference. Technically I'm not wearing the shoes I've photographed as I'm sending them back but I'm on the hunt for the perfect loafer/moccasin. I like the look of these, I could give or take the tassels though, but they just don't fit right. Anyone have any recommendations on where I could find a pair? 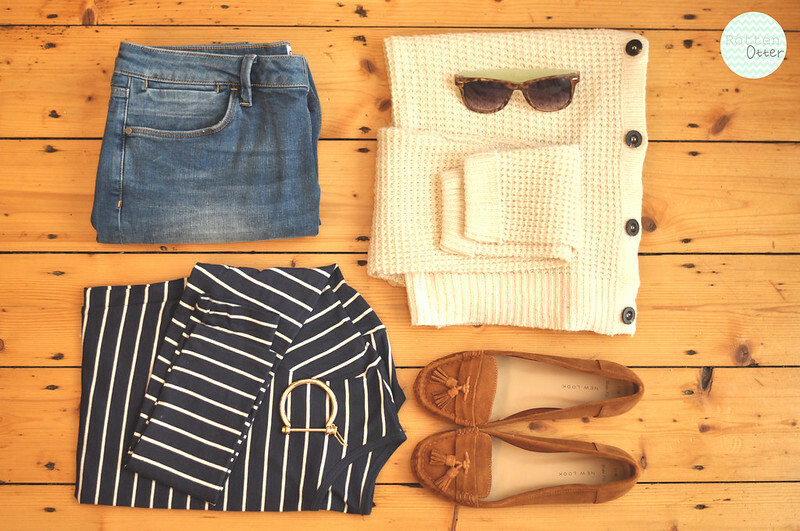 You can never go wrong with stripes in my opinion :) And I'm not sure about where you can find moccasins but the brand Minnetonka makes the nicest, classic pairs; I have a pair of maroon ones that are so cute and comfortable! I've been looking for a stipy top like that for ages, might need to pop into New Look! I got the Angelica ones in black and I am very happy with them.